Merckens White Chocolate Cocoa White Rainbow Coatings. Chocolate Store, the online candy store with chocolate and candy. 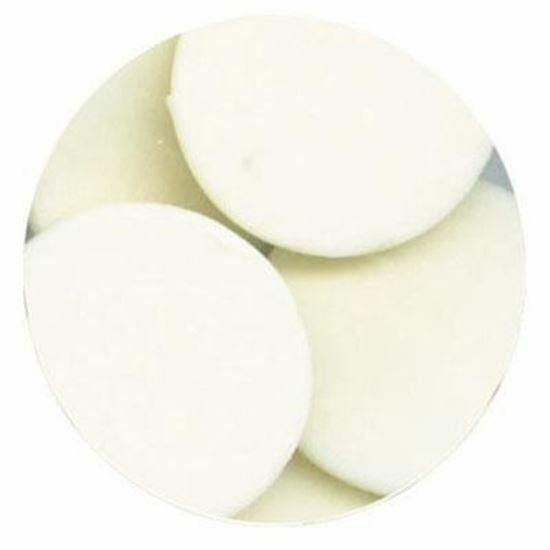 Merckens White Chocolate Cocoa White melting wafers are chocolate flavored coatings which substitute cocoa powder and vegetable oil for chocolate liquor and cocoa butter. Does not require tempering. Known for consistent and superior quality, the Merckens brand of chocolate has been used by premium chocolate retail confectioners in North America since 1921. The Merckens line of Rainbow compound wafers is a leading brand in the retail confectioner, home candy-making and cake-decorating markets. Merckens White Chocolate Cocoa White melting wafers are chocolate flavored coatings which substitute cocoa powder and vegetable oil for chocolate liquor and cocoa butter. Does not require tempering. The Merckens line of Rainbow compound wafers is a leading brand in the retail confectioner, home candy-making and cake-decorating markets.